From January 2004, CMM Issue 178, and our Club Call feature examines the history of AC and looks at the AC Owners Club. By the time that butcher, John Portwine and engineer John Weller had formalised their business, Autocarriers Ltd, in 1904, the writing was already on the wall for the horse as the motive power for commercial transport. The internal combustion engine was making significant in-roads into all forms of wheeled transport - Autocarriers tricar, a commercial, where the driver sat behind the load,was to prove a popular and successful business venture. Autocarriers followed the commercial with the introduction of their passenger carrying version... a front facing seat replacing the box van. The Sociable, a further development placed the driver and the passenger alongside each other at the front. In 1911 Autocars and Accessories Ltd moved from West Norwood to AC’s traditional home Thames. 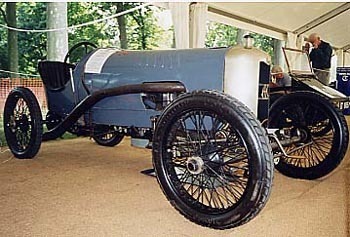 Weller’s first four wheel design, in 1913, powered by a quality French product , the 1096cc Fivet, transmitted its power to the road via a transaxle combined gearbox and final drive. Following the ‘14-’18 war British Anzani were favoured with an order for 2000 1496cc four cylinder engines, but Weller’s own 1477cc design was already on the drawing board. Development and refinement of the chain driven overhead cam in-line 6 cylinder unit carried through until 1922 when it became a production reality at the increased swept volume of 1991cc. It remained in AC’s range until 1963 - more than doubling its horsepower over the years. The marque progressively attracted competition minded owners with notable successes in the Twenties amongst which were Harry Hawker who in 1921 covered the flying half mile at 105mph. J.A. Joyce, in 1922, driving an AC at Brooklands was the first light car to cover 100 miles in the hour and in 1926 the Monte Carlo Rally was won by the Hon. Victor Bruce in a six cylinder car. S.F.Edge was invited to join the Autocarriers board in Feb 1921. Edge had gained a reputation for his successful promotion of Napier, but the ’honeymoon’ at Thames Ditton lasted only 18 months at which point founder members Portwine and Weller resigned, leaving Edge in sole charge of AC. Come the mid Twenties AC Cars was in difficulties, causing Edge to refinance the company with well over £100,000 of his own money, to be reformed in 1927 as AC (Acedes) Ltd. Three years later the company went into liquidation, production halted and Edge departed having lost every penny of his investment. Observers at the time commented that the Edge of AC was not the dynamic Edge of Napier days, suggesting that a severe illness had left its mark on Selwyn Frances Edge, physically and mentally. Sadly, Edge was to lose his life in February 1940, as the result of a fall from an Eastbourne hotel window. Brothers William and Charles Hurlock were looking for space to expand their already successful haulage business. They considered the AC factory ideal to accomodate their core business which was combined with an increasing interest in the sales and service of cars and trucks. With this in mind the existing AC service department was retained and towards the end of 1930 a car was built for William Hurlock. The acceptable result was sufficient to persuade the Hurlocks to reintroduce limited production, to continue 6 cylinder engine production, acquiring a small number of chassis from the Standard Motor Company and utilising a pre-1930 carry-over stock of components. Slowly but surely, inspite of the depressive trading times of the Thirties, AC products re-emerged to make a name for themselves. By the start of the 1936 model year AC could offer a wide choice of body styles including 2 and 4 door saloons, along with significant mechanical improvements and worthwhile specification changes. The Second World War intervened just as the Hurlocks were approaching a figure of close to 700 cars built, since their acquisition of the company. Not a staggering figure, but one which was based on quality and individual customer attention, creating for AC a select band of loyal owners. The wartime period was filled with work on profitable Ministry contracts which supported the purchase of a additional site at Taggs Island, used post war for the production of Ministry of Pensions invalid cars and a two seater three wheel microcar. Oct 1947 and AC returned to the business of building cars. The old faithful 1991 cc ‘six’ was called on to continue its sterling service in a new style two door body to be joined later by limited numbers of a four door saloon and a two door drophead coupe. The memorable and much cherished Buckland four seater tourer came on the scene and is still be turning heads over fifty years later. But the market was moving on. The Hurlocks who had now got into the swing of motor manufacturing and were fully committed to AC were aware that they too must move on with a new model. On a visit to Bucklands coachworks they called on a neighbouring race car constructor, John Tojeiro. John’s Ferrari barchetta style sports car was enjoying successful seasons in sports car racing powered by Connaught and MG engines and had latterly been fitted with a 2 litre Bristol nee BMW engine. The overall design lent itself to AC’s production volumes. A stout twin tube chassis, uncomplicated lower wishbone upper transverse leaf suspension front and rear, a compact stylish aluminium body which would stay in vogue for decades to come. At the 1953 Earls Court Show AC showed a Thames Ditton built chassis alongside Vincent Davison’s AC engined Tojeiro - the AC Ace had arrived. Early in 1954 AC’s production model appeared with the body shape slightly modified. powered by the now much developed Weller ‘six’. From March ‘56 the Ace was offered with 2litre Bristol power to be supplemented in 1959 by a six cylinder Ford Zephyr in standard form, although the five stages of Ruddspeed Ford Zephyr were to prove popular and effective. AC added to the range with one of the most attractive 2 seater coupes ...ever... the Aceca. The 4 seater Greyhound saloon drew its similarly attractive style from the Aceca, but was a trace more matronly. The Ace made a name for itself in racing and rallying - not only at international level, but equally important at national and club level, in the hands of keen private owners -worldwide. The success of the car in North America having won the Sports Car Club of America Championships in ‘umpteen’ Class C , Class D and Class E races in two three and four successive years, plus the 1956 Autosport Production Sports Car Championship,attracted the attention of Texan racing driver Carroll Shelby. Shelby reasoned that the AC Ace deserved a large American V8 power unit making it a contender for American Class A and the front row of ‘supercar’ international sports car racing. With such an aggressive image the car could only be called COBRA. Shelby’s theories were put into practice - to good effect. In 4.7 and 7 litre forms, the Cobra swept the board in international competition including winning the World Sports Car Championship in 1965. As history proved, the Cobra built on the success of the Ace. The prototype 3000 ME, with a Ford V6 engine and grp bodywork appeared at the 1973 Earls Court Motor Show and finally went into production in 1978, continuing until 1985. During 1986, after 56 years of control, the history making Hurlock family sold AC Cars to a partnership consisting of Autokraft Ltd and the Ford Motor Company. Two years later the company moved to an extensive new purpose built factory on the site of the historic Brooklands race track and in 1992 Brian Angliss of Autokraft acquired Ford’s interest and assumed full control. At this point the revised Cobra in mark IV form was the sole product, but, in 1990, a new Ace was designed which following the tortuous route of North American and EEC certification entered production in ‘93. AC Cars was acquired in 1997 by South African Alan Lubinsky since when the old names of Ace and Aceca re-emerged in more modern guises. Moreover, the traditional shape of Cobra has since been seen in both aluminium and high technology fibre based materials, but the traditional in-house origination of AC products for decades the ‘norm’, has followed the modern practice of being divided between Weybridge, UK locations other than Weybridge and sources outside the UK. As this is being written commercial upheavels have caused the future of the marque name AC to become a matter of concern amongst real enthusiasts. Whatever the outcome of the latest happenings may be the interests of current AC owners is in the safe hands of the AC Owners Club. Formed in 1949 it caters for AC products from 1910 to 2001. What of the many ‘replicas’, look-a-likes and Tagg Island three wheelers that exist - are these excluded ? As Brian Gilbart - Smith the Club’s Chairperson explained to CMM, as a non owning AC enthusiast you are welcome to join the club, there is no discrimination therefore against the owner of any vehicle type or marque. Your vehicle however will not be eligible for any AC marque competition. Membership numbers at home and overseas are annually over the 800 mark with 8 UK regional groups and monthly meetings, plus 8 active overseas centres administered by keen AC owners. A wide spectrum of club events covers all that owners require from the leisurely gatherings of the country run and afternoon tea, to a stately home picnic and concours, or the bustle of the more intense AC National Day... and onto more active track days and pure action motor sport. The Club actively encourage participation in the ‘flag -flying’ activities of outside shows and prestigious appearances witnessed by the recent Ace filled club stand at the NEC November Classic. The Club’s 2004, 23rd International ‘Wilderness Classic’ will be held at Headlam 20th - 23rd May and notice has been posted of the UK Club’s participation in USA AC 2004 in September/October. Communications are based on an excellent, informative, handy big- pocket size magazine, an equally informative club web site: (http://www.acownersclub.co.uk/) which contains on-line joining facilities, plus regional centre newsletters as and when necessary. Through these various mediums the Club member is kept fully informed. Membership benefits are many and important. 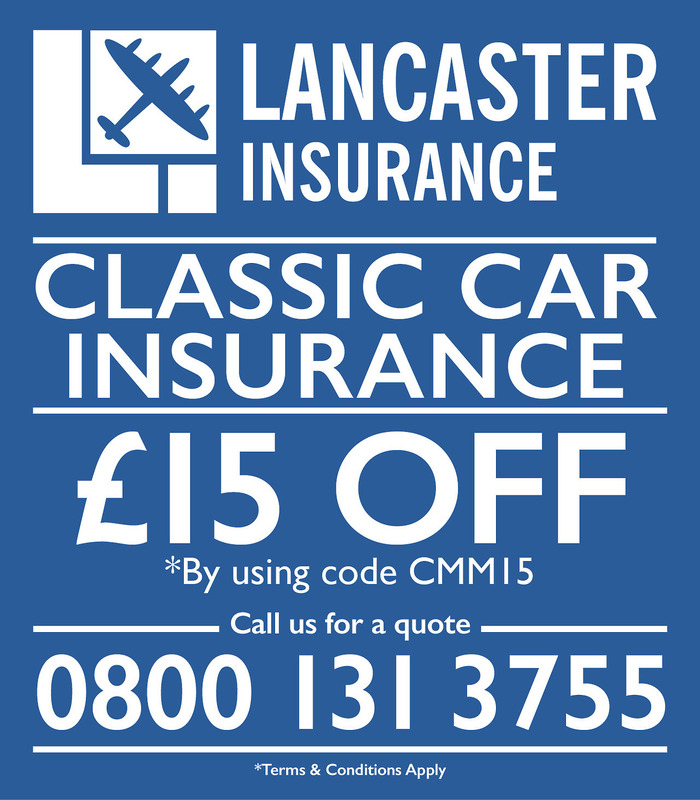 Apart from the considerable range of regalia available, a Club insurance scheme with attractive rates operates within a freely competitive environment where many of the well known classic insurance names are also encouraged to advertise and court the Club member to arrive at his or her ideal insurance solution. Whilst there is no club spares scheme as such, the Club fully support an independent activity which is administered by an ex AC employee and expert of many years standing who has an encyclopedic knowledge of AC models, their parts and sourcing. Beyond this the Club directly involve themselves with the capital outlay required in the re-manufacture of rarer much needed items. ACOC are proud of the coverage and help given by no less than 17 Registrar specialists who provide in depth knowledge on the many individual model groups covering the AC model range from Vintage to Superblower. Recently released is the Club’s AC Register which contains information on every, known to the club, surviving AC. This very comprehensive document which has been painstakingly compiled by every willing hand in the Club including the 17 Registrars, and must be the most informative document ever produced on the AC marque. It is free to members. CMM would like to thank Club Chairperson Brian Gilbart - Smith and current Club magazine editor Eric Gates for their kind assistance in preparing this edition of CLUB CALL. A special thank you to Linzi Smart, ACOC ‘s Official Photographer for her contribution.